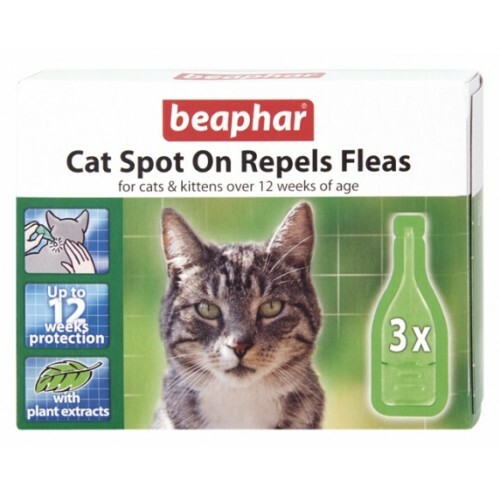 Beaphar Cat Spot On Repels Fleas is the simple and convenient way to repel fleas quickly and effectively. Each application lasts up to four weeks, so this pack provides up to 12 weeks protection. Contains Margosa, an extract of the Neem tree, which is noted for being full of natural insect repellents.